Over the past few days, focus has been on gradually piecing Toronto back together. The new aerial image means that everything needs to be corrected, work on this can be seen above. 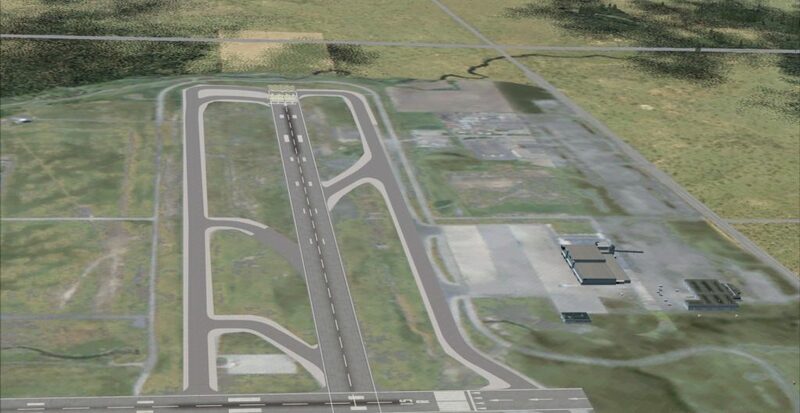 As of today, this correction has been completed for the main taxiways; as can be seen above this does not apply to aprons and those will need to follow suit. In the meantime, I’m not entirely satisfied yet with the quality of the rFSX resample image. With the image that was licensed to OryxSim, this is about the max that I will probably can get out of it. I’m currently looking around to see if I can perhaps work on the image a bit further by using open data aerial images to give the base layer at least a detailed ‘feel’. I’m further debating whether I should go and make custom groundpoly’s. My answeres for the time being to that is a no, at least not for the first version of the scenery. While I do possess the capability this process is extremely time consuming and this was the main source of problems for OryxSim Toronto back in the day. I’m definitely open to giving it another shot, but I feel these efforts should not delay release. I hope to show some further progress later in the week. I then hope to also have corrected the placement of many buildings in the scenery so that we can speak of a proper scenery again.